Yes, maybe it’sВ NovemberВ with its proper gloomy days and constant twilight, or maybe I got proper rest on vacation (slept unusually much there). 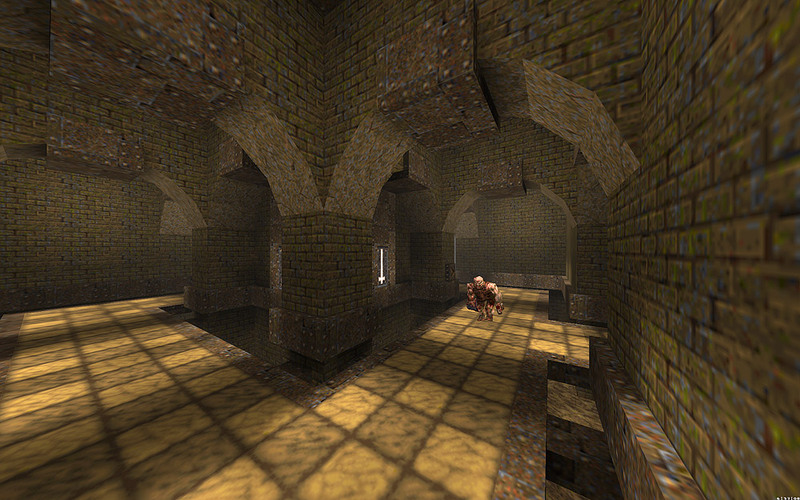 But here it is, new Quake map that took me about 4 days to make. The initial goal was to make small map and don’t go epic so I actually finish it. Enjoy! On dedicated page you’ll find more info. Zwiffle and Hrimfaxi just released awesome map pack with two maps in it! The pack must be started within the Quoth mod. The first level (teacup) is made by Zwiffle out of scrapmaps by czg. This level uses arabian set by Iikka and has good gameplay and some nice interesting designs. But the second level (egypt) is just awesome! The initial brushwork is done by Drew and Hrimfaxi have finished it. It uses my favourite Dissolution of Eternity egypt textureset and has vast designs with waterfalls, high and big structures, proper Quake atmosphere and other interesting ideas. The official discussion goes at the ever slow and b0rked func, you’ll find screenshots there as well. Very well done level! Every Quake fan must play this pack NOW! 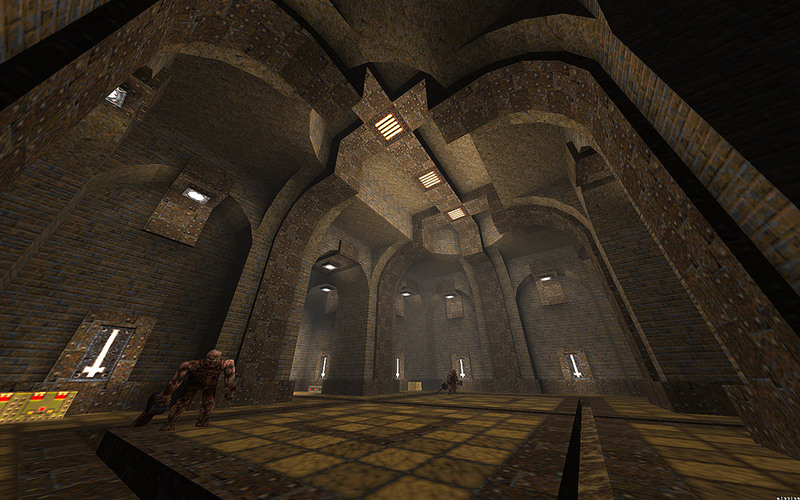 Tronyn has released impressive Quake Single Player level yesterday. It so vast you’ll need special engine to play it! I liked its colossal scale and the main idea of climbing on the tower in the mountains. Also it has 340 monsters! Bloody horde massacres have place in almost every hall. Go grab it while it’s still hot!